Not only is the Women’s Business Enterprise National Council (WBENC) the largest certifier of women-owned businesses in the United States, but it is also one of four organizations approved by the Small Business Administration (SBA) to provide Women-Owned Small Business (WOSB) certification, as part of the SBA’s Women-Owned Small Business Federal Contracting program. Each year, the federal government sets a goal to award at least 5 percent of all federal contracting dollars to certified Women-Owned Small Businesses (WOSBs), particularly in industries where WOSBs are underrepresented. Becoming a certified WOSB and joining the SBA’s contracting program ensures your business is eligible to compete for federal contracts set aside for this program. Be at least 51 percent, unconditionally and directly, owned and controlled by one or more women, who are U.S. citizens. Be “small” in its primary industry in accordance with the SBA’s size standards for that industry. Use the SBA’s Size Standards Tool to check your industry. Have women manage day-to-day operations and also make long-term decisions. Becoming a certified WOSB and participating in the SBA’s WOSB contracting program allows your business to compete for federal contracts within a more limited pool of other qualified WOSBs, thereby increasing your chances of winning business. These contracts are for industries where WOSBs are underrepresented. Check out the SBA’s list of eligible industries and their NAICS codes. 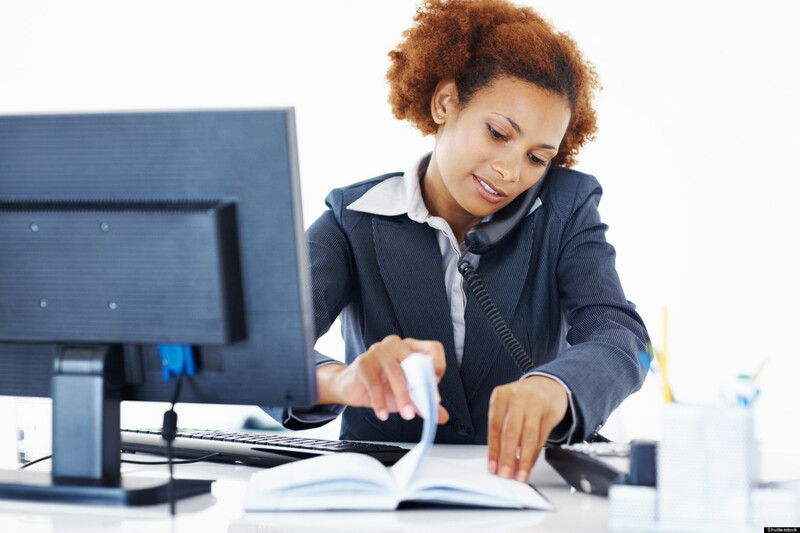 If you are already a WBENC-Certified Women’s Business Enterprise (WBE), you can easily apply for WOSB certification as part of your recertification process at no additional charge. If you are a women-owned business and not yet certified by WBENC, take a moment to read about the benefits of WBENC Certification to see if it is a fit for your business. WBENC is the nation’s largest certifier of women-owned businesses and our world-class certification standard is accepted by more than 1,000 corporations representing America’s most prestigious brands. If you choose to apply for WBENC certification, you can apply for WOSB certification at the same time. It’s important to note that once you receive your WOSB certification, you still must complete additional steps to participate in the WOSB Federal Contracting program, including providing proof of certification information through certify.SBA.gov, and updating your business profile at SAM.gov to show contracting officers that your business is in the women’s contracting program. Check out SBA.gov for details. Visit wbenc.org/government for details on the WOSB certification process, documentation required, and frequently asked questions. For more information about the SBA’s WOSB Federal Contracting program, visit SBA.gov. According to the U.S. Census Bureau, there are around 43.5 million mothers in the country, who have given birth to nearly 96 million children. With Mother’s Day just around the corner on May 12, 2019, there will be millions of people looking for a unique and thoughtful ways to make mom feel like queen for a day. After all, the Pew Research Center reports that moms are spending more time in the labor force today, a quarter of them are raising children on their own, and 77 percent of them report feeling a lot of pressure to be more involved as a parent. Moms today are wearing a lot of hats and are busier than ever before. They will welcome having a day of feeling special and being pampered. Give her health a boost. Most moms are great at taking care of others, but sometimes they forget to put their own health first. Buy mom a gift that will help make her health a priority all year long, such as a gym membership, online yoga instruction subscription, or sign her up for a health retreat that she can attend. Give her the gift of a break. Give mom a basket that has a nice bottle of wine, such as Rosé Piscine, a good book, and carve out some time for her to relax and enjoy it. Take a look at some of the many things that mom does all day and see which ones you can do for her, to give her some down time. Throw a Mother’s Day brunch. Think about all the moms you know in your area that are special to you. Plan an awesome “Mother’s Day Brunch” and invite them all to attend. Fill the brunch with homemade pastries and options that will go with some wine such as Rosé Piscine or mimosas. Have other men or women you know contribute to the event by providing a dish for the event. Wait on the moms and make them feel special as they chat and enjoy a great time in their honor. Send mom to the spa. All moms love to be pampered with a massage, facial, or by spending time at the spa. But not all of them will set aside the time or funds to make it happen. Get her a gift certificate to a great spa where she will be pampered and renewed. Plan a new and exciting adventure. Take mom on a special adventure, participating in something that is fun and that she’s not used to doing. Think about such options as a nighttime bioluminescent kayak tour, mountain biking, hiking, sailing, or a tour at the nearest art museum. Think about the types of things she likes to do, and then go big with it to plan an adventure she’ll always remember. Rosé Piscine is a French wine that was made to always be served on the rocks. Rosé Piscine is made by Pascal Nacenta in southwest France. The tasting notes include being pale salmon in color, with a light to medium body. On the bouquet, it offers notes of Meyer lemon, skin of peach, vanilla, kiwi and McIntosh apple. Rosé Piscine is made with an indigenous varietal of southwest France: Négrette, which is a small, very dark and tough-skinned grape known for its powerful aromatic qualities. The fruit is sourced in Côtes du Frontonnais, which is located just southwest of Gaillac and just north of the city of Toulouse, on the western bank of the Tarn River. Wine Enthusiast awarded the Rosé Piscine region the Wine Region of the Year 2017 award. Rosé Piscine was created by Jacques Tranier, the president of Vinovalie, a group of producers in the French Southwest. In 2003, he was on a vacation in Saint Tropez when he saw many women drinking rosé on the rocks. He ordered one to give it a try, only to be disappointed in the taste of the wine being diluted by the melting ice. This set him on a mission to create a rosé that could hold its integrity while being served over ice. To find a store near you or to order online, visit the site at: www.rosepiscine.com. A unique rosé wine in that it was created to be served over ice, Rosé Piscine is taking the nation by storm. Over two million bottles of it were sold in France and Brazil last year, and it is now available in the U.S. Rosé Piscine is pale salmon in color, light to medium body, and made from Négrette, a small grape known for its powerful aromatic qualities. For more information on Rosé Piscine or the company, visit the site at: www.rosepiscine.com or visit @rosepiscine on Instagram. The notion that attending college is some leisurely stroll through four(-ish) years where students’ only concerns are completing coursework and figuring out what fun things they’ll do on the weekend is changing rapidly. While that description might still fit the experience of many students, a sizeable portion of college students need to work full time to make ends meet. If you’re unwilling to let anything block you from achieving your career and educational goals, the best thing you can do is learn from those who have walked the path before you. That’s why we canvassed a number of working professionals who experienced the pressures of working full time while in school. Take a look at their can’t-miss tips. Malson also suggests that incorporating elements like a bulletin board you can populate with important deadlines, inspiring photos, or encouraging quotes can assist in creating a mindful environment that is tailored to your personal goals and motivators. If you haven’t previously utilized planners, now might be the time to buy one. 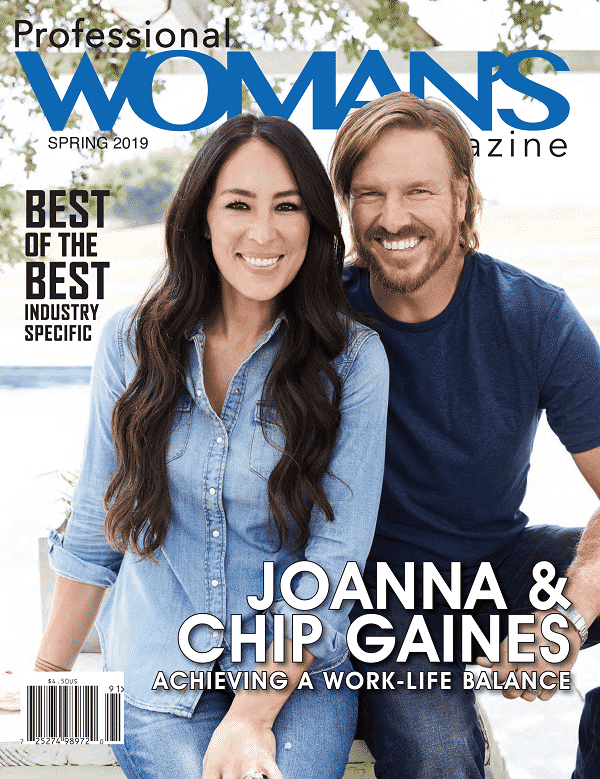 “Planners are extremely useful, but are not used enough—especially for someone managing full-time work and school,” maintains Amanda Raimondi, lifestyle expert and writer for Grapevine. Time is never more precious than when you’re balancing the responsibilities of working full time and earning a degree. “When you choose to go back to college and have a career, you have chosen ‘the path of greatest resistance,’ and your time is at a premium,” explains Scott Vail, owner of C4 Communications. To succeed within high-stress circumstances like these, he urges students to be purposeful of how they spend their time. “You must schedule everything—class time, study time, recreation—if you want to be successful over the long haul,” Vail adds. Even if procrastinating has been your tendency in the past, Zona-Mendola advises to avoid it at all costs if you’re also balancing full-time work. “Get stuff done right away. Have a whole semester to write a paper? Start writing it as soon as you know enough about the subject, whether it’s the first week or halfway through. Turn it in right away. The professor will be happy about it,” she says. Malson believes that one of the greatest services a student can do for themselves is to truly get to know their habits as a learner and learn how to use them to their advantage as they work toward earning a degree. Something as simple as getting a good night’s sleep can make all the difference amid your flurry of day-to-day responsibilities. She also recommends scheduling even just an hour a day to destress by reading a book or watching an episode of one of your favorite Netflix shows. “You may think it’s a waste of time, but having a break every now and then will actually make you more efficient in your daily tasks,” explains Alayna Pehrson, content management specialist for Best Company. The first time that consultant, speaker, and author Masudi Stolard pursued a degree, it took him 16 years and three different universities to complete it. After shifting his mindset, refocusing his goals, and learning how to study properly, he was able to later earn his MBA in just two years. One of the most pivotal changes he made was learning to ask for help when he was struggling academically. “I can’t tell you the number of times I had to swallow my ego, swallow my pride and get additional help from a tutor or through a study lab,” Stolard recalls. Tutoring services can be an invaluable tool for college students. Through the use of tutors, Stolard was able to better grasp the concepts his professors were teaching in class, and he even discovered a few shortcuts related to his subject matter that he wouldn’t have known had he not sought help. Another element Stolard views as crucial to a successful college experience while working full time is consistently choosing to believe in yourself. If you doubt your abilities, he says, you’re more likely to burn out. “Trust in yourself enough to believe you can balance both work and your education,” Stolard encourages. “Trust that you are aware that both are equally important. Trust the decision you made to move forward with both responsibilities is the right one.” He adds that being intentional about keeping your family and close friends tuned into the benefits that await you upon graduation can help them offer you some extra encouragement along the way. Even as you focus on the major doors that could open for you professionally after earning your degree, don’t forget to celebrate all of your small achievements along the way. “Getting to the degree can be a monumental (and time-consuming) accomplishment. Stop focusing on the big victories, like completing an entire semester, and instead start to string together small wins, like getting an ‘A’ on your test,” Vail explains. “Celebrate turning your paper in on time. Celebrate making it through a tough week or month,” he adds. “This, too, will end,” Zona-Mendola urges, nodding toward that all too common instinct to throw in the proverbial towel when it feels as if this stressful chapter of your life will never end. “In the moments when you feel like giving up or giving in, remember that this lifestyle isn’t forever,” she adds. When she looks back at her long few years in college while working at her full-time job, she knows how tired she was and can recall the weight of the sacrifices she had to make at the time. But what she remembers most prominently is how hard she worked to achieve a goal—one that was pivotal on her personal road to success. Power through the adversity now, Zona-Mendola recommends, so you can reap the numerous benefits that await. Applying for jobs—as we all know—can be a cumbersome process. You could easily spend hours manually entering your work history into an online application, uploading a keyword optimized resume, and tracking down the hiring manager’s name for your customized cover letter. I’m tired just thinking about it! That’s why that shiny blue “Easy Apply” button you see on job postings on LinkedIn can be so darn alluring. Just one click and I’m done? Sign me up! Not so fast. As with all quick fixes, the easier option has its drawbacks. Primarily, you’re trading customization for simplicity. When a recruiter receives an “Easy Apply” application, all they see is a snapshot of your LinkedIn profile—namely your photo, headline, past and present job titles, education, and any skills you’ve listed. That’s it! So if your LinkedIn profile isn’t up to date, is very bare-bones, or doesn’t tell your complete career journey, you probably won’t be hearing from prospective employers anytime soon. So when should you use the “Easy Apply” option? If you’ve created a dazzling LinkedIn profile full of relevant keywords, rich descriptions of your experience, tangible achievements, and a stellar headline, you’re in a much better place to use the “Easy Apply” button because you’re offering hiring managers a clear picture of how you’re qualified for the role. If your LinkedIn doesn’t check all these boxes, don’t even think about using the “Easy Apply” button until you’ve fully optimized your profile for your job search (this article on the best tips for an amazing LinkedIn profile as a job seeker can help). But it’s also impossible to capture the full breadth of your experience on your profile (or resume, for that matter—hence why you should always tailor it to the job) so keep in mind that you’ll still run into opportunities when “easy applying” won’t make sense. In short, only use the button when your profile is a strong match to the job requirements, and opt for a general application when it’s not. As you casually peruse the latest job postings on LinkedIn, you find an opportunity that sounds interesting. Sure, it’s not your dream job, but you wouldn’t mind learning more about the company. In this scenario, the easy option might be the way to go so you can focus your energies on applying to jobs you really want while still broadening your reach. If you hear back, that’s great! If not, that’s fine, too, because you know it’s not a role you actually wanted that badly. Just understand that by using this button, you’re a lot less likely to get a response—so think wisely about whether or not it’s worth the risk. And please, please don’t rely on the “Easy Apply” button if you’ve found your dream job at your ideal company. If you’re jumping-out-of-your-skin excited about an opening, you should set aside time to create a tailored resume and draft a killer cover letter—and reach out to the hiring manager or another networking contact who works there for that personal touch. LinkedIn allows you to attach additional documents to your application, so if you have a tailored resume ready to go (or you can whip one up real quick), the “Easy Apply” button may be a great option. Keep in mind that your LinkedIn profile will be the first thing a recruiter sees when receiving your application, so you’ll still want to make sure that part’s up to date. If your profile doesn’t look great, the hiring manager may not even bother opening your beautifully written resume. Chances are if you’re planning to make a big career change, a lot of thought went into your decision. Maybe you’ve always harbored a secret fascination with robotics, maybe a chance encounter with an inspiring author made you realize you’re meant to be a writer, or maybe you’ve been diligently assembling an arsenal of leadership skills with the hopes of stepping into a management role. Whatever you have in mind, there’s simply no way that a LinkedIn profile can accurately tell the story of your career journey. That type of job search requires a different set of tools (like an engaging cover letter), and sadly, the “Easy Apply” button won’t do it for you (maybe someday—that would be incredible). Sometimes you’re working 16-hour days or so overloaded in your life that you can barely focus on your much-needed job search. If you’re pressed for time and know that you won’t be able to tailor a resume or complete an arduous online application before the job posting disappears (which happens all too often), the easy button might be your only option. And that’s perfectly fine in certain instances. However, it’s always safer to take the extra time to fill out a complete application when life calms down and you’re not strapped for resources. Applying for jobs is never going to be an exact science, so your search will likely include some trial and error. If you’re tempted to use the “Easy Apply” option, give it a try for one or two jobs and make a note of whether it yields any interviews. Hearing back from recruiters is always a good sign that you’re doing something right. Conversely, if you rarely or never hear back when you use the easy button, it may not be the right tool for you and it’s probably worth pursuing other options, whether that’s applying directly on the company website or doing some networking. Continue on to The Muse to read the complete article and more career advice. The term ‘glass ceiling’ was coined by Marilyn Loden, an American writer and management consultant, in 1978 during a panel discussion about women’s aspirations. Forty years later businesses worldwide have made great strides when it comes to gender parity. Yet the glass ceiling metaphor continues to symbolize an enduring barrier faced by women in the workplace. To tackle the glass ceiling, we first need to understand the phenomenon of the ‘sticky floor’. This phrase refers to women typically occupying low paying, low mobility jobs and therefore being stuck at the bottom of the career ladder. In order to accelerate women through the ranks, a cultural shift is needed. For example, we at the Greater Houston Women’s Chamber of Commerce (GHWCC) build networks and give young women strong, successful, female role models to aspire to. Next, we need to think about how to encourage and attract more women to pursue management qualifications. The financial times reports that the number of women in MBA programs globally has only risen by 20 percent in 20 years. This is interesting since it’s been shown in studies that backgrounds in business, finance and STEM are launchpads for female CEOS. So how can the industry work together with educational institutions to attract and encourage more women to get their MBA and accelerate their growth to top leadership? It’s about helping women juggle the pressures of work / life / school demands. During my MBA, I found that one of those three elements always had to give to prioritize another. As employers, the more flexible we are with schedules, the more help we can give to women and encourage to undertake an MBA. This will ultimately help the employer long-term. Another obstacle in breaking the glass ceiling is the ‘frozen middle’, which describes women’s career progress often halting in middle management positions. Sponsorship is one solution to this problem. Sponsors can actively help advance careers – using their influence and capital to advocate for women. Women need this senior sponsorship – especially in male-dominated industries – so they’re offered the same visibility in the organization. The Harvard Business Review found that women with sponsors are 22 percent more likely to ask for stretch assignments to push them further than non-sponsored peers. In particular, strong, female role models in senior positions can play a huge role in helping women navigate the challenges of more senior roles. This is something I’m particularly passionate about. Throughout my career I’ve pioneered mentor-ship programs and personally mentored and sponsored employees to succeed. As a board member of the GHWCC, I am committed to empowering women to reach their career goals. This sponsorship, mentoring and guidance will be especially important when women do make it into the C-suite and boardroom to avoid falling off the glass cliff. The term ‘glass cliff’, coined by academics Michelle Ryan and Alex Haslam back in 2005, is the phenomenon of women making it to the boardroom but finding themselves in precarious leadership positions. It notes that women often break through the glass ceiling when businesses are in periods of risk and uncertainty – and are therefore left with the option to accept an unstable ‘glass cliff’ position or resign and ‘fail’. But organizations need to continue supporting female leaders once they’ve reached the top and beyond these periods of uncertainty so their careers and businesses can thrive. This sometimes plays into the female stereotypes of ‘softer’ leaders – when people skills are needed to turn companies around. We can’t be content with breaking the glass ceiling – we need to make our mark. Breaking the glass ceiling and making your mark is much more than a box checking exercise for diversity. More women in senior roles equals more profitable businesses. Ernst and Young notes that an organization made up of 30 percent of female leaders could add up to six percentage points to its net margin. So, if we can accelerate the uptake of women in our industries, particularly in senior positions, we can be assured that it’s going to have a positive effect. If companies worldwide can put the sponsorship and progression of women at the top of their agendas, we can smash the glass ceiling once and for all. Most of us prepare for job interviews the same way: Research the company, Google “how to answer common interview questions,” practice answering them out loud and then hope for the best. But rarely do we think about how we present ourselves to our potential future employers. One of the most important skills to master for a job interview is maintaining appropriate eye contact. In a 2018 CareerBuilder report, 67 percent of the 2,500 hiring managers surveyed said that failure to make eye contact was the top body language mistake job seekers make. (Another study, dating as far back as 1979, found that people who sustain extended eye contact are more likely to be perceived as intelligent and credible.) Express warmth by smiling often and avoid making shifty eye movements. That’s not to say you should be intensely staring down at your interviewer the entire time. Start the contact when you first meet them at the initial handshake. Express warmth by smiling often and avoid making shifty eye movements. No slouching — always keep a strong, straight back. Lean forward slightly from time to time to show interest. A strong posture will not only make you look more confidence, it can also help you feel more confident and perform better in your interview. Studies have shown that individuals who sit up straighter are more likely to view themselves as having strong leadership skills, whereas those with hunched postures have higher risks of feeling easily stressed. Succeeding isn’t as simple as just smiling. Smiling at the beginning and end of your interview — but not as much in between — will make you seem more approachable and likable. It’s all about balance. Do what feels natural and don’t overthink it. A simple trick is to try and match the energy or demeanor of your interviewer. Too much fidgeting will make you look anxious and nervous, which might cause your interviewer to question your assertiveness and interpersonal warmth. Avoid the temptation to fidget your fingers or, even worse, nearby objects! By embracing stillness, you can display the persona of a confident and capable leader. If you have a hard time doing this, practice answering questions while keeping as still as possible in front of a mirror. From your clothes and accessories down to your shoes (and even the way you style your hair! ), what you wear is an extension of your body language. When in doubt, go for shades of blue or black. The little details matter, so put plenty of thought into how you want to appear on the day of your interview. Are your shoes polished? Did you shower that morning? Are the colors you chose to wear too bold, or just bold enough, for the job you want? When in doubt, go for shades of blue or black, but steer clear of anything too bright or boring, like orange and brown. Your handshake is the first and last impression you will make in a job interview. According to a study from the Beckman Institute, a strong handshake can both diminish the impact of a negative impression and make a positive interaction even better. Continue on to read more from CNBC News. At the age of 12, Laila emigrated to the U.S. with her mother, arriving in New York. Her father joined them a year later, and the rest of her family joined in the following years. Her first job was selling hot dogs and knishes on the Staten Island Ferry, at the age of 14. She credits her mother, who always told her “there’s no limit to what you can do,” with giving her self-confidence. After her family moved to California, Laila attended UCLA and had a full-time job as a waitress while she attended school. She met a man who gave her a job selling tax shelter annuities to school teachers and she shadowed him and learned on the job. Her first paycheck was $4,600 for one month, which she immediately deposited in the bank. At a conference shortly after, she met Karl Romero who became her mentor and offered her a job which doubled salary. He helped her get licensed as a CFP® (Certified Financial Planner®). 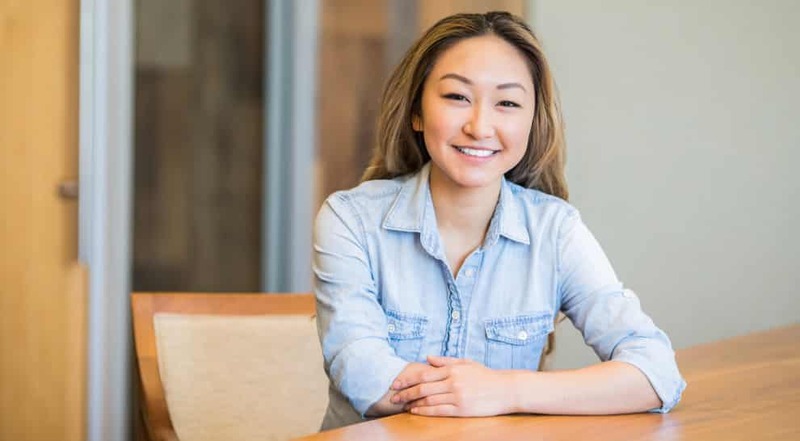 By age 22, she was making $100,000 a year. Today, Laila is co-founder of Pence Wealth Management which she formed with her husband, Dryden. An avid sports fan, Laila is a dedicated wife and mother and very proud to be able to provide great care for her original cheerleader – her mother! Smart Women is a women’s giving collective which supports the work of the nonprofit Working Wardrobes. New memberships are currently available (and are entirely tax-deductible), along with tickets to upcoming Speaker Series events. For more information, please visit workingwardrobes.org/smart-women/ . The pressure of looming deadlines, a pile-up of urgent tasks, not to mention a toxic work environment, filled with competitiveness, incivility, and gossiping—this can leave anyone feeling exhausted, overwhelmed, and at risk of burnout. Having experienced burnout several times during my career, here are some tips to surviving burnout—and thriving. Burnout can build up slowly over time and may present itself not only with work pressures but social pressures, too. If you’re a people pleaser, you may find yourself becoming exhausted from making too many commitments, promises, and doing favors, to try and please everyone in your life, including family, friends, and even colleagues. And at work, you may find yourself being pushed and pulled in different directions, struggling to juggle an increasing to-do-list with ‘surprise’ urgent tasks that can pop up during the day. Your body is probably showing you the warning signs of burnout, starting with tiredness and irritability, that can eventually lead to fatigue and even insomnia. It’s important to recognize and acknowledge these signs early. Don’t blame yourself—it is not worth the added pressure and can worsen your burnout symptoms. By acknowledging these signs, you’ll be able to recognize whether you need to remove yourself from the situation that’s causing burnout. This could mean taking time off work, leaving your job entirely, simply saying ‘no’ to certain social commitments, or unplugging from social media. Acknowledging the warning signs and physically removing yourself from the situation causing burnout are the first steps in taking care of yourself and bringing you back to joy and fulfillment. Once you’ve done this, tackle the struggles and judgments that are bubbling to the surface, internally. Focus on seeking help, whether it’s by visiting a psychologist, or just talking to a friend or colleague. You may find that just talking about the situation can make you feel better. Seeking professional help can provide different tools and techniques that can help you through those moments of stress, pressure, and even burnout. Practicing mindfulness and meditation, doing yoga, or other tools and exercises that focus on clearing your mind and breathing may be beneficial for you. Or, perhaps medications may be prescribed to you to help. Keep an open mind and do what works for you, without self-judgment or taking on the opinions and judgments of others. This can help you move beyond the burnout and even prevent it in the future. If you took time off work to focus on getting out of burnout, the return to work can be a delicate process, one that must be carefully planned and prepared for. A question you can ask yourself is, “What do I have or what do I want to change in my work and in my day-to-day life, so this burnout situation doesn’t happen again?” Flexible hours, shifting from full time to part time, weekly check-ins with your manager, or taking more frequent breaks during the day are all possibilities to consider when returning to work and can easily be discussed with your superiors and HR team. Don’t be afraid to ask for these changes and acknowledge and talk about what isn’t working for you anymore. If your workplace values your contribution to the company and has your best interest in mind, they will be willing to make accommodations, especially those that prevent future burnout situations. Ask this question in other areas of your life, where you know that change is needed, as it is often a combination of more or less important factors that lead to burnout. Keep doing things you like and that work for you in your work and social life. What kind of invitation can you be for people in your situation who do not dare to change? What if your experience could be useful for someone else? It is time to lower the barriers and walls you may put up to protect yourself and to show you as you are, in total vulnerability. Vulnerability is not a sign of weakness. On the contrary, it is a great strength. The strength to be who you really are, with no role to play, without judgment of yourself or others, without seeking to be perfect, just being you. What are you going to change today for more ease in your life, move out of burnout and prevent burnout in the future? Laurence Favier is a Joy of Business facilitator and highly experienced corporate executive. After more than 30 years in senior IT roles, particularly in project management and operations, Laurence made a conscious decision to adopt a more fulfilling and nurturing approach to work and impending retirement. After discovering Access Consciousness™, Laurence began to integrate these quick and effective tools into her own life and to teach them to others. She has swiftly become an Access Consciousness™ certified facilitator, a Being You facilitator and a Joy of Business facilitator. Her knowledge of the corporate world is an asset to her clients—Laurence offers relevant and effective training for businesses and business leaders, as well as valuable insights for the wellbeing of employees. She provides trainings, conferences, workshops and one-on-one sessions. There are more than 11 million women-owned businesses in the United States. And that number is growing dramatically each year. In fact, women-owned businesses are growing five times faster than the national average, and businesses owned by women of color have more than doubled since 2007. There are some incredible women who have overcome major challenges to grow successful businesses. Whether you’re thinking about starting a business of your own, or you just need a little extra inspiration in your professional life, these tips will do the trick! When Barbara Felix, owner of Felix the Cook, started her custom-made sugar cookies business, she got the word out by donating her cookies to large charity events. Barbara knew her target audience and where to reach them. Focusing on a specific market and delivering them an exceptional product and experience helped her grow an impressive client list, which includes Google Ventures, UPS, and The Four Seasons. If you’re unsure of your market, the best thing you can do is start talking to your existing customers. Write up a list of questions and call three of your best customers to get answers. You can even send a quick poll to your email list to learn more about your audience’s interests on a larger scale. Like many small business owners, Kellee Twadelle, owner of Rose & Dove Specialty Gift Shop, left the corporate world to feel a greater sense of freedom, flexibility, and fulfillment. But throughout her years as an owner, there have been plenty of unexpected obstacles. Kellee has had to change her store location, shift her business model, and manage major challenges during her husband’s motorcycle accident. Kellee keeps her business going by taking small actions, including partnering with local businesses, sending her customers monthly marketing emails, and running timely events. If you hit a rough patch at your business, don’t stress over your shifting five-year plan. Start every day by thinking about what small impactful action you can take to get things back on track. Once a loyal customer of French goods store La Provence, Dawn Noble bought the business more than a decade ago. Starting without any business management experience, Dawn believes in the power of learning as you go. Looking back, she knows she’s made some missteps along the way, but Dawn doesn’t let these mistakes slow her down. When you find yourself second-guessing your decisions, ability, or strength, remember that doing something is almost always better than doing nothing. Trust your instincts and don’t be afraid of a little trial and error. With more than 35 years of as a business owner, Marie Mouradian, owner of Window Designs Etc., knows the secret to success is to never get too comfortable. Change is part of almost every industry—even window design treatments. Marie prides herself in embracing new trends and refusing to be intimidated by market shifts. Marie gets involved by sitting on the board of her local Chamber of Commerce and always trying out new ways to get her business noticed in her community and online. If you think your business is stuck in a rut, look for local workshops or networking events in your community where you can continue to learn new skills and make new connections. As an athlete turned business owner, Traci Brown, body language expert at Traci Brown Inc., knows you’re not going to win every day. Sometimes you give it all you’ve got and still come up short. But Traci’s refusal to give up has served her well. She’s landed a product deal with Shark Tank’s Kevin Harrington, appeared on major television networks, and spoken on keynote stages. As an owner, remember that success might not look like you originally imagined. But if you don’t take a risk and go for it, you’ll never really know what you’re capable of. Source: This article originally appeared on the Constant Contact Blog. When we think about the things that drive us to accept a job offer, money tends to top the list, and understandably so. After all, everyone has bills to pay and financial goals to meet, and having a respectable salary makes that possible. But money isn’t the primary driver in workers’ job-related decisions. Here are five factors that employees regard as more important than compensation, according to CareerBuilder. Though some people don’t mind commuting, a terrible one can turn an otherwise decent job into a nightmare. When considering a new role, take the associated commute into account, keeping in mind that unless your company has a work-from-home policy, you’ll likely be dealing with it day in, day out. Choosing a job in a convenient location will lend to better overall satisfaction and less stress, and that’s something you’ll be grateful for in the long run. It’s one thing to get health benefits, but it’s another thing to pay an arm and a leg for them. Employers subsidize health insurance at different levels, so ideally, you should aim to find a job where you’re given access to a decent plan at an affordable out-of-pocket cost to you. Furthermore, it’s not unheard of for companies to subsidize employee health plans completely so that your insurance actually doesn’t cost you a dime. There’s something to be said for not having to constantly worry about getting laid off. Though there’s no such thing as a lifetime guarantee that you’ll never lose your job, your chances are much lower if you accept a role in a thriving industry, and at a company with a solid track record. In other words, make sure to vet your employer before signing on, because if a given company has been losing money year over year, it’s a sign that it’s not the most stable environment. At the same time, make sure any job offer you accept is truly a good fit. You might manage to talk up your qualifications and get offered a reach position, but if you struggle with it, you might find yourself out of work soon enough. A great boss could spell the difference between enjoying your job and hating it. What qualities should you look for in a manager? For starters, it helps to work for someone who’s approachable, open to ideas and feedback, and honest. You should also aim to work for a person who will push you to do better, and support you on the way there. At the same time, there are certain types of bosses you should try to avoid, like those who feel compelled to micromanage or are extremely set in their ways. Working for a company that values its employees, fosters collaboration, and encourages creativity is a good way to wind up happy on the job. You can get a sense of a company’s culture by asking what the work environment is like during interviews, and reading company reviews online. The right culture fit is essential not just to your happiness, but your professional growth as well. When Hollywood makes movies featuring female soldiers and sailors, those characters typically have some improbable combination of strength, intelligence, grace and courage. Throw in a quirky backstory – She studied theatre! She plays clarinet! – and you have the makings of a perfect, albeit unrealistic, female military action hero. But these women do exist. 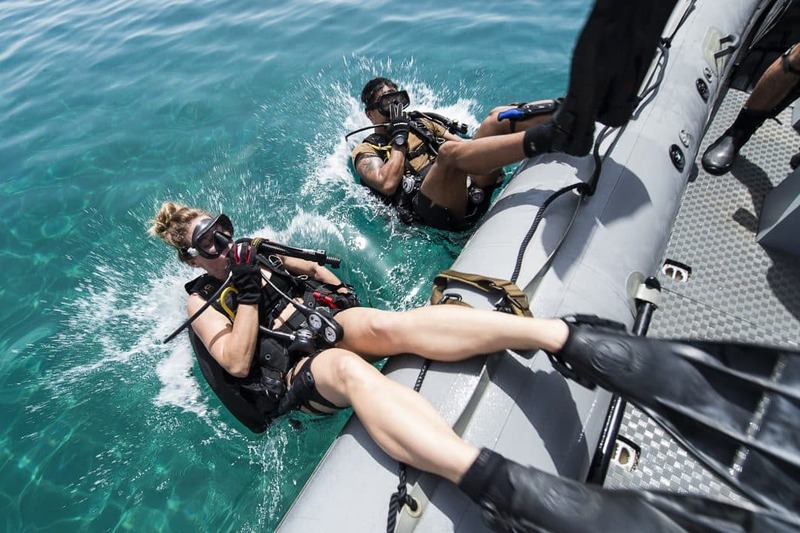 America’s Navy is filled with them, and few have a more interesting story than Ensign Brianne “Brie” Coger, a 10-year Navy veteran who was one of just 12 female enlisted Explosive Ordinance Disposal (EOD) technicians in the entire fleet before earning her commission in 2018. EODs are part of the Navy’s elite Special Warfare community. This is the territory of Navy SEALs – exceptional men and women who have the intelligence, physical fitness, and drive to rise to the top. It’s work that demands a state of mind marked by extreme courage and capability under fire. Coger grew up in Staten Island, New York. She excelled in sports, particularly swimming, and still holds some swimming records at her high school. A talented musician, she also played clarinet with the school orchestra and marching band. Later, at the University of Miami (Fla.), she studied theater and dreamed of becoming a Hollywood stunt woman. Coger spent two challenging years after college working odd jobs back home in New York, trying to pursue an acting career. When the opportunities fizzled, Coger looked for a different kind of challenge and found it in the Navy. EODs are the world’s ultimate bomb squad, trained to disarm conventional bombs, mines, improvised explosive devices (IEDs), and chemical – even nuclear – weapons. They perform some of the most harrowing, dangerous work on earth to keep others from harm’s way — but that was precisely what appealed to Coger. Coger says she’s never felt that her gender was an issue in her Navy career. In fact, she has enjoyed tremendous success in a relatively short time, rising to chief petty officer – a senior enlisted rate – in just eight years before being selected for officer training in 2017. After more than a decade as an enlisted Sailor, Coger earned her commission in 2018 after completing Officer Candidate School in Newport, R.I. Coger has since graduated from the exclusive Navy Dive School in Florida and is now in San Diego getting ready to deploy. Her first assignment as a new officer? 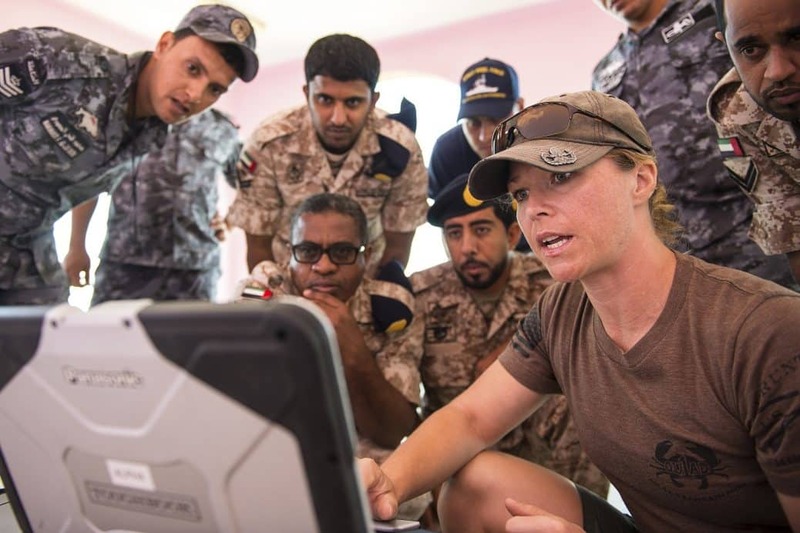 Leading a platoon of EOD Techs – the same people she worked with as an enlisted sailor.